for the love of toast from FrancesAlbatross on Vimeo. 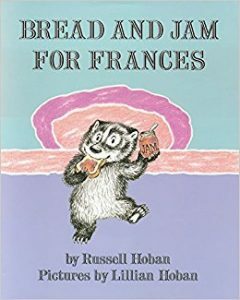 I feel like the Badger from the book “Bread and Jam for Frances.” I love toast an obscene amount, and I often make up songs to sing while eating it. Coincidence? I think not. This final animation will be my Ode to toast. Intro: Person is in their kitchen, putting bread into the toaster. The suspense builds as they wait for the toast to be done. IT is taking a long time. 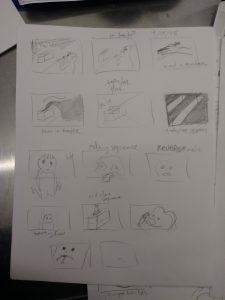 This scene is created using hand drawn 2D animation or rotoscoping. 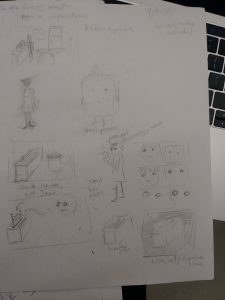 Development: In a delirious desperation, the person starts to see toast and toasters everywhere. The fridge is a toaster, the door is a toaster—even the house is a toaster! (insert hallucinogenic Phenakistiscope sequence). 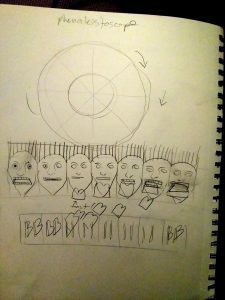 Turn: The persons is sucked inside of the toaster, being toasted (perhaps this could be a claymation sequence?). Conclusion: The persons pops out of the toaster. 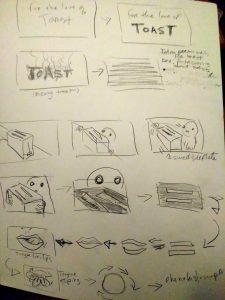 The toast eats the person. The person is crispy. 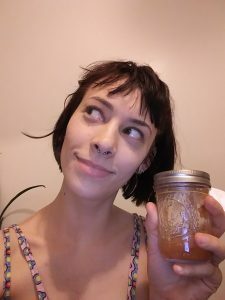 I am excited for toast.